Emily Ritz and Kacey Johansing have been sewing together electronic pastoral hymns, as the power duo of, Yesway. A name-play on their connection to the country of Norway, the two continue their creativity from the Honeycomb ensemble to their beach town residences, north of San Francisco, that emanate their sounds as Yesway. While certain chord signatures illustrate trajectories of the tradition, the two take down the tallest trees of convention in the name of a natural approach to re-invention that digitizes the places where the Pacific waters meet the rocks and sand of the coastal shores. With their self-titled coming June 3, we present the premiere of, “Howlin' Face”, followed by an interview with Emily and Kacey. On “Howlin' Face”, atmospheres are introduced in conjunction with sustained vibraphones (courtesy of Andrew Maguire) and gently galloping guitar strings. Everything on this song howls, from the notes of background keys that stir like Bay winds, the howls of yard dogs, and the communication and non-verbal language shared between bodies. Somewhere in the resonance of the vibes, those low flying synth clouds, river running guitar acoustics, and heart beat emulating electronica — all these conjure images and essence of the Northern California fog that inhabits and occupies the West Coast's sleepy shorelines. What is striking about the Yesway sound is the translation of the sublime through the channels that continue to surprise, as the organic compositions enter electronic chambers, that lead toward the sea vistas that sing ancient songs of lovers, kindred friends, and the timeless connection between hearts, earth, land, and the infinite expanses of wild and limitless seas. 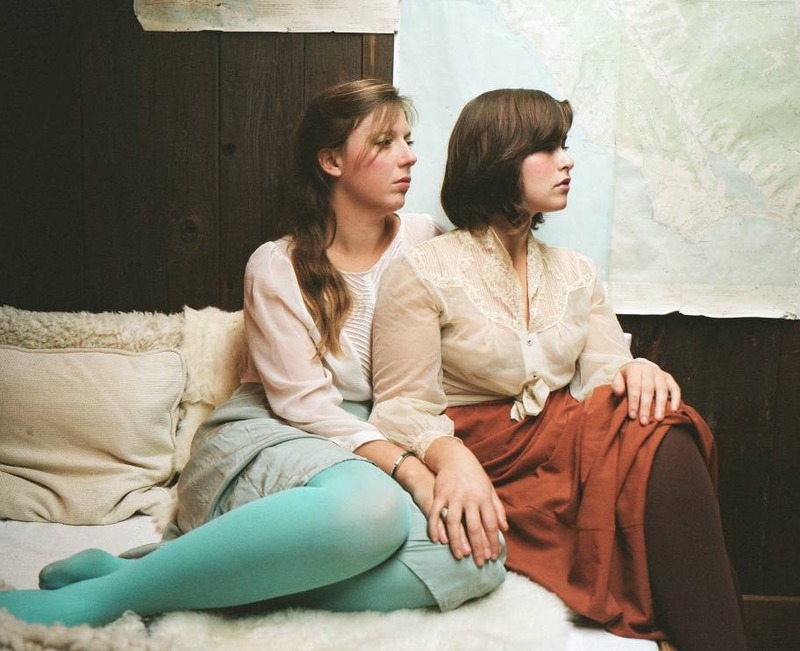 Yesway's Emily and Kacey took a moment to talk about their creative collaboration, their duo dynamics, upcoming album, and more. Tell us about how Yesway has provided a more collaborative platform for your music, compared to say your solo approaches. Kacey: Musically I feel that it is a really rare and special connection that not many songwriters have had the opportunity to explore. Through our love and trust in one another as friends, we are able to guide each other into deeper realms of creativity and self expression than we could on our own. In my solo project I am spearheading every decision, which can feel empowering but can also feel daunting and at times lonely. It's really comforting knowing that somebody is as equally invested in the music and in the project as me and is always going to show up and match me on every level. We are partners. I like how “Howlin' Face” has this organic, folk trail minstrel sound that evolves into the electro waters. Tell us about the recording of this beautiful number, as well as the recent “Whoacean” single you all dropped. Emily & Kacey: “Whoacean” was the first song we ever wrote together and the first track we recorded. Unlike the rest of the album, it was recorded at home and we feel it stands strong with the other songs. It represents an important part of our sound and history. “Howlin' Face” was recorded in the studio and we wanted to keep an organic feel of two voices rooted in folk, yet the track called for a programmed beat you might find on a hip hop track. We use real drums when we perform it live but the recording needed something more. What has the experience of recording an album together been like? E&K: The recording process is always layered and complex. With this record we wanted to go all in and spend the money and time necessary to make it what exactly what we envisioned. It was a great challenge and helped define our individual strengths and roles as collaborative artists. We learned a lot about the hazards of having expectations and trying to have control over an artistic process. We also learned a lot about how we get the best results in a recording session. A lot of our magic lies in what happens when we play live. Our guitar parts intertwine and our voices melt together. We know now to record those parts at the same time versus tracking everything separately. We are excited to record our next album after learning so much the first time! What else can we expect from Yesway this spring/summer? E&K: We are so excited to be releasing our first album on June 3rd! In the meantime we will be releasing two music videos for some singles off the record and in May we are headed to NY to play some shows and make another video. In late June we are doing a West coast tour. Keep your eyes peeled and your ears open cause here we come! Yesway's self-released self-titled album will be available June 3.